Boris Cyrulnik is a neuro-psychiatrist and course director at the University of Toulon, France. 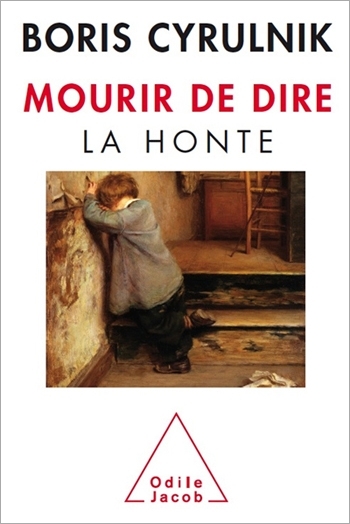 He is the author of many highly successful works published by Editions Odile Jacob, most notably, Un merveilleux malheur, Les Vilains Petits Canards, Parler d'amour au bord du gouffre, Autobiographie d’un épouvantail and, recently, Je me souviens. “For a long time I believed that shame was prompted by an unacceptable action and that it could be measured on a scale ranging from a slight twinge to feeling shamed to death. I have since discovered that shame arises from the meaning our cultural context and personal history attribute to the event,” writes Boris Cyrulnik. It is shame’s “intimate theatre” that Cyrulnik explores here, in his new book: shame of having been born with a silver spoon in one’s mouth or of being poor; shame of what one did or of what one did not have the courage to do; shame that often hides a secret. How then to transform a destiny “you submit to into one you dominate”, in the words of André Malraux? That is what Cyrulnik explains here, as he ranges from the biology of shame to its psychology, discussing shame among primates, shame from infancy to adolescence, sexual shame and family shame, and even the shame of survivors of mass crimes. Throughout he never forgets the crucial questions: How to keep from burrowing into and hiding in one’s shame? How to avoid retreating into the multiple emotional reactions that shame produces in each of us? And how to regain freedom and pride, without falling into the trap of complete shamelessness — a sign of indifference to others that can have appalling results?